To live in a country, you need to pay for utilities for example, gas, electricity, and water. In other countries, it’s common to pay them by using a check, or online. But in Japanese society, you need to set up automated account transfer, use a credit card, or pay the bill at a store. In this article, I will talk about how to pay using the bill they send you. Actually, it’s quite simple. All you need to do is just show the bill in convenience store and pay. You will get bills like this picture when deadline is nearing. But be careful, the other bills will be sent to you. Some things are just meter checks and summaries of your costs – those are not your bills. In most cases, you will get two bills: the payment bill and the meter checking bill. Please remember, this is the payment one which you should show in convenience store. I also interviewed an international student in my university. She said there is no problem in paying bills because there are a lot of convenience store around us, but she didn’t know how to pay the bills at first ,because the other bills were sent to her, so she didn’t have idea which bills should she show to convenience store. At a glance, it seems very complicate and difficult, but it’s quite easy and simple thing. 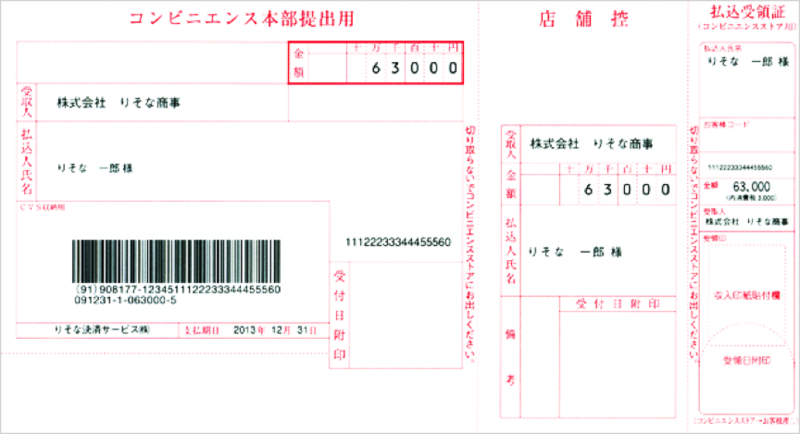 So, if you got bills like this picture, go to convenience store, and pay the bill, then, your payment will have done. At HUE Asahikawa, Grant studied differences between the American education system and the Japanese educational system. When asked about the advantages of studying abroad, Grant explained that he felt the experience made him mentally stronger and that he learned a lot about culture through the experience. While some people worry about money, Grant felt that you should not and that the experience is the most important part. Speaking of money, it cost about $5000 for Grant to study here. Grant was able to come due to a scholarship. But Grant really wanted to emphasize that the experience matters more. While for most other exchange students, this was their first time abroad, Grant had actually been to Asahikawa and Japan before as a middle schooler. This is second time to come here and learn Japanese education system. Grant felt that Japanese people were really polite but also very reserved about communicating with others. In America, we don’t stop talking even in a bus, but Japanese don’t do so. It is sometimes good to reserved, but sometimes not. While on the bus, he found it pleasant that people here are not blabbering to others on their phones while riding the bus but found it weird that they are constantly looking down. This is a big gap between Japanese and American bus-riding customs. One thing he told us is to be surprised by how different the food sizes are between Japan and America – especially for things like steak. Corey is from Illinois State University and he is majoring in business. Corey came to Japan to experience something new. This was first time to go abroad, and he thought this was a great experience. He was here for twenty six days, and he enjoyed, Japanese culture, food and the environment. He especially liked his homestay which was made easier by having a host-mom who could speak English. Through visiting a lot of Japanese schools, he remember to take off your shoes, less people and large room and non “Kyusyoku”. Before he came, he couldn’t speak Japanese but he practiced Japanese here. So, now, he can speak Japanese and read Hiragana and Katakana. He thought that the Japanese people he met were friendly, welcoming, but shy.Moreover, he found that he could communicate with students in English So, he didn’t think language was a barrier for him here. He looked for information about HUE Asahikawa on the Internet before he came to Japan. And he found good Information on the school’s webpage. He had three worries about studying abroad: language, food and trash separation. He found an English Japanese dictionary is useful and also a day planner so that you can fill out your weekends and keep tracking of what you’re doing., His favorite part of studying here was the food – especially curry and rice, sushi, and and Okonomiyaki. He said he had no complaints and that everything about it was good! 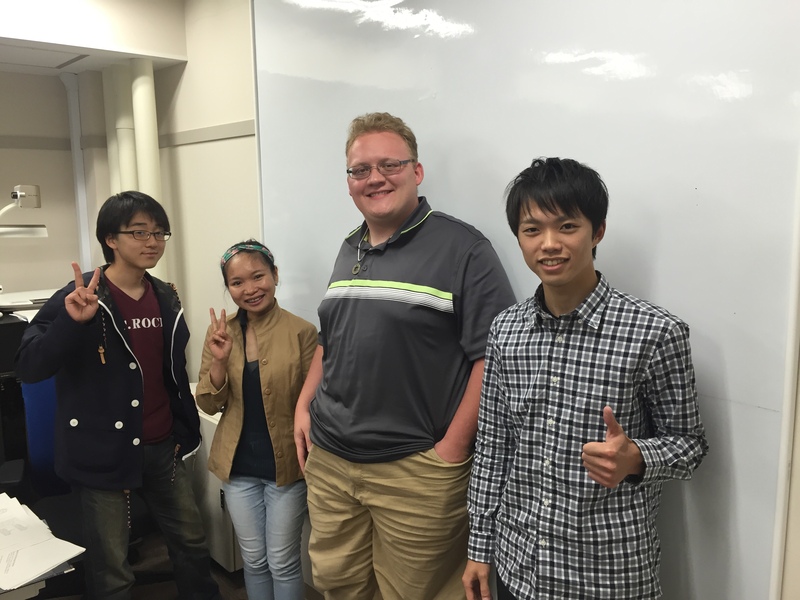 He found the Japanese classes easy to compared classes back at ISU because they had no tests and no homework. He felt that improved transportation would lead more people to think about going to HUE Asahikawa. 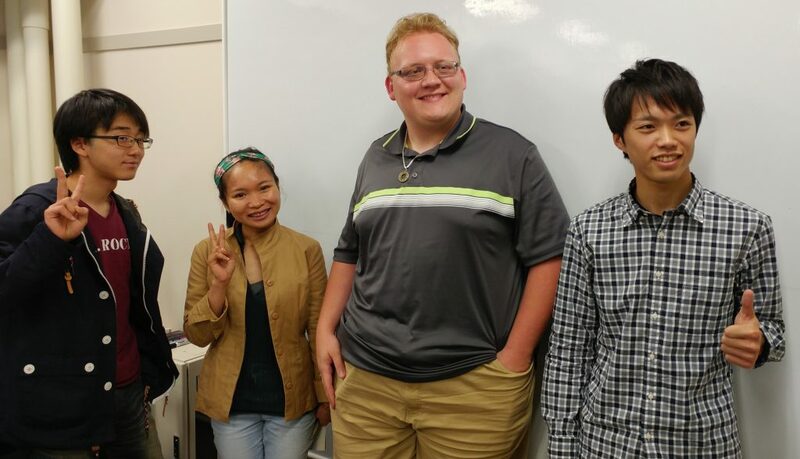 Him main advice for people who are thinking about studying abroad at HUE Asahikawa is to try new things and to be better experience.If you are planning to study abroad, his biggest piece of advice is to smile. If you smile, people will help you. We interviewed Brianna. She stayed in Japan was for 4 weeks. She is from Iowa state in USA, and she is a student as ISU (Illinois State University). She chose to come to HUE Asahikawa in Japan for studying abroad, because she wanted to go to a place different from anywhere she knows. Moreover, she wanted to learn culture and education. This time was both the first time for her to come to Japan and for her to study abroad. Before she came to Japan, she worried about language issues, Internet access, and her host family. Then, when she came to Japan, she faced problems with both the language and the Internet. She couldn’t be able to communicating with HUE Asahikawa students, and couldn’t talk to her mother through the Internet for a few weeks. When she did not have classes, she did homework and spent a lot of time with her host family or friends in Japan. She loves her host family, so she misses them and that she won’t get to see them again is the worst part of studying abroad. 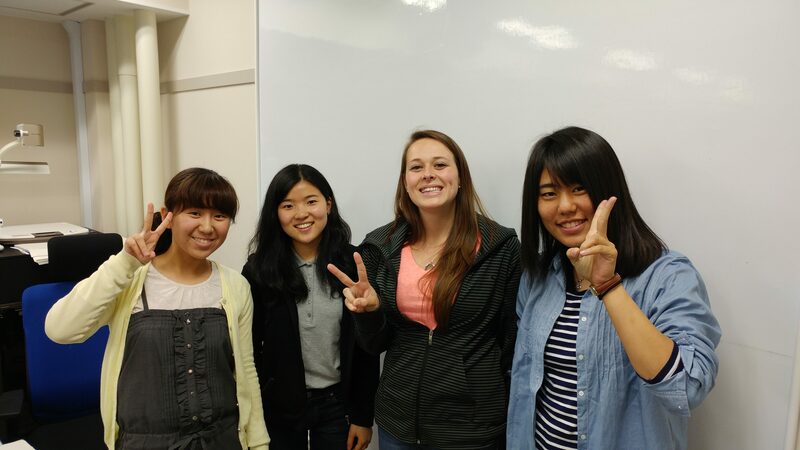 As students who want to study abroad and hang out with international students, she gave us some advice. She explained that Americans would be happy to talk with us. Therefore, when studying abroad, the most important things are that we should try to speak in English and not be shy all the time. I think studying abroad is exciting. For a girl from Kushiro, it will be a big step to go to a big city somewhere else. So, I’ll tell you two reasons. First, we can understand another language through studying abroad. We are university students, so we often study English. But we don’t have enough hands-on experience to speak English with foreign people. So, I think that a lot of students should consider to study abroad. Also we can understand foreign culture though studying abroad. Of course, Japanese traditional culture is very nice. For example, foods, festival, buildings, life… and so on. But if we go abroad for study, we would encounter a different culture. We might end up getting used to foreign culture. However, this is part of how we learn to understand the lives of people in other cultures. I will conclude by repeating that studying abroad is exciting. When we live in Japan, we often think that foreign countries sounds scary. But we won’t find out the truth unless we try. So, let’s think of studying abroad! There are some reasons what I think. For example, “improving the language of your native country”, “communication with people from other countries”, “understanding diverse cultures” and “comparative research on educational systems”. Here, I want to focus on the idea of culture. I claim that studying abroad can help understand other cultures. I think this is valuable because there are many different things between my own Japanese culture and other cultures. For instance, very few Japanese people understand religion or think it is important to their lives, but abroad, religion is an important part of people’s lives and cultures. If you don’t know about this, you will do rude things and say and do things that make them feel uncomfortable. There are also many differences in people’s daily lives. If I go abroad or if someone comes from abroad to Japan, they can experience first hand both traditional culture and the amount of cultural difference that exists through the world. By having intercultural experience, you will prevent this problem if you understand difference between Japan and foreign countries. In conclusion, it is important to understand the distinctiveness of each country. So we should study abroad so we can have these valuable experiences. First, we will have difficulty in communicating with others in a different language. We can’t be understood without speaking fluently. And we will find that we don’t have enough vocabulary. So it is hard for us to tell someone what we want to say. Second, in the school, the teacher will speak in the local language the entire time. The teacher may use jargon in the class and we must answer a lot of question. To answer the questions which we get in the class, we need much time. So we have to reserve time in our schedules to study the homework, review, and be ready for questions. Third, there are many differences between our culture and other culture. Japanese students are often described as being passive whereas students in other countries are more active. In classrooms abroad, students have a lot of opportunity to explain our opinion or ask some questions to the teacher in the class. This is challenging for someone who comes from a Japanese background. For these three reasons, I think studying abroad will be challenging. I think studying abroad is challenging. While I look forward to it, I know that it will be hard – maybe the hardest thing in my life. First, I have never been abroad, but studying English and many other things has already made me struggle. While I’m sure that studying abroad will be fun, before you get to study abroad, you must study A LOT . In addition, when you are Japanese, you can’t use mother tongue in most others places, so you have to study another language to communicate with people at all. 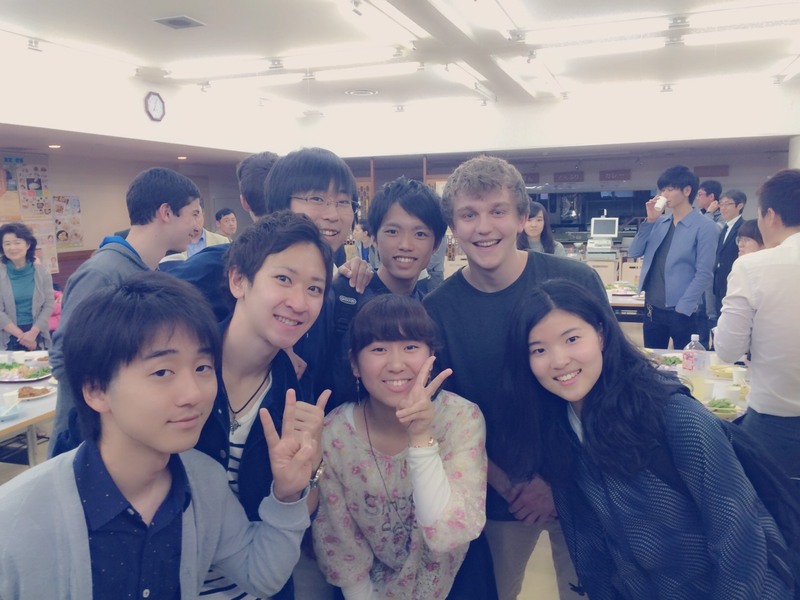 This is a very hard task that is necessary for people who are eager to study abroad. Despite this, I think it is worth doing. But through it you can come in touch with foreign culture which is different from your country. Moreover, also you can exchange your opinions with people from other countries about anything, so you can learn many things from their opinions. This is the most important and good point of studying abroad I think. From these points, I claim that studying abroad is challenging. I think studying abroad is exciting. Let me show you some reasons, which will make you want to go visit other countries. Firstly, everything you see in foreign countries is new. You cannot stop to walk on the street and look around the town. You will enjoy it a way you never could in your own country. Many great buildings or nature will surround you. Secondly, you can try a lot of native cuisine. Probably, you can eat some foreign foods in your home country. However, the same item tastes way better in the country that invented it. Also, you have chances to have foods which you never tried before. You may find out your favorite dish in foreign countries.